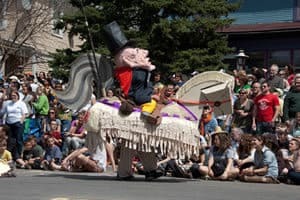 The 2019 MayDay Parade, Ceremony, and Festival will be on Sunday, May 5th! 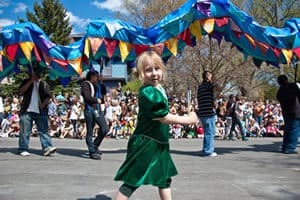 There are three parts to our MayDay event: the Parade, the Tree of Life Ceremony, and a Festival in Powderhorn Park in South Minneapolis until dusk. 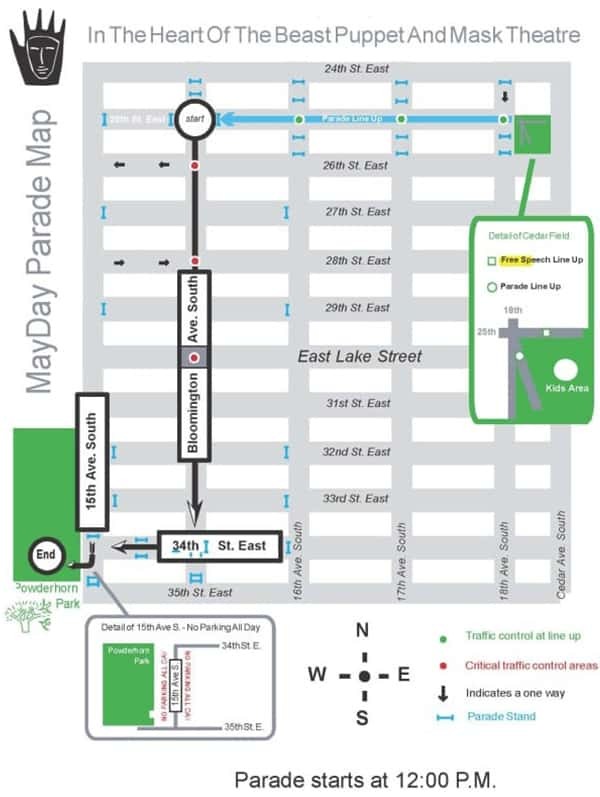 Every spring, the MayDay Parade explodes onto Bloomington Avenue! 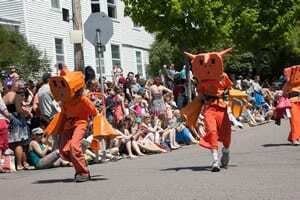 We own the street for the day, dancing and playing instruments with fiery verve. We tell our story, section by section, each designed musically and visually by MayDay staff artists as a walking theatrical performance. The Join In Section follows, where community groups proclaim their names and causes. All together, 2000 participants march, boogie or roll down Bloomington every year! Meanwhile, tens of thousands more line the streets, enjoying the spectacle and each other. People are everywhere - on rooftops and on lawns, toting babies in backpacks and toddlers in wagons, or sitting knee to knee along on the curbs. 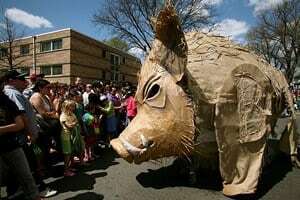 Everybody greets neighbors from near and far with a "Happy MayDay!!" The city feels intimate, overflowing with goodwill and spring fever. Come to a MayDay Workshop to find out how! Does your community group want to join in? Click on over to the Community Voices section for details!